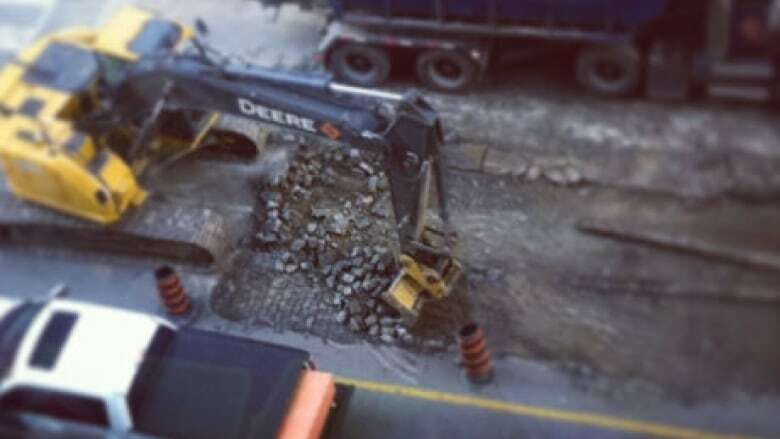 Layers of Toronto history are being peeled back on Bay Street, as construction crews dig into the pavement to unearth the street’s past. Crews working on road reconstruction, watermain and streetscaping improvements dug down to expose cobblestone around the intersection of Bay and Bloor Streets. Was Bay St. once made of cobblestone? Given the centuries of development on the street, the Toronto Historical Society suggested a number scenarios. “These are ‘cobbles’ which were part of a streetcar line or earlier street railway right of way,” says Paul Federico, president of the Toronto Historical Association. This allowed workers to alter streetcar and rail tracks by only moving certain bricks, rather than uplifting the whole street. 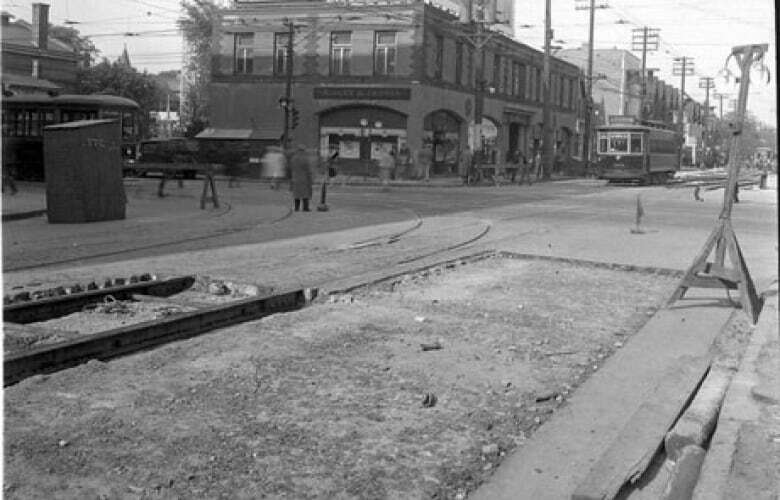 From the Toronto Archives, such cobblestone can be seen around a streetcar line from June 1929. 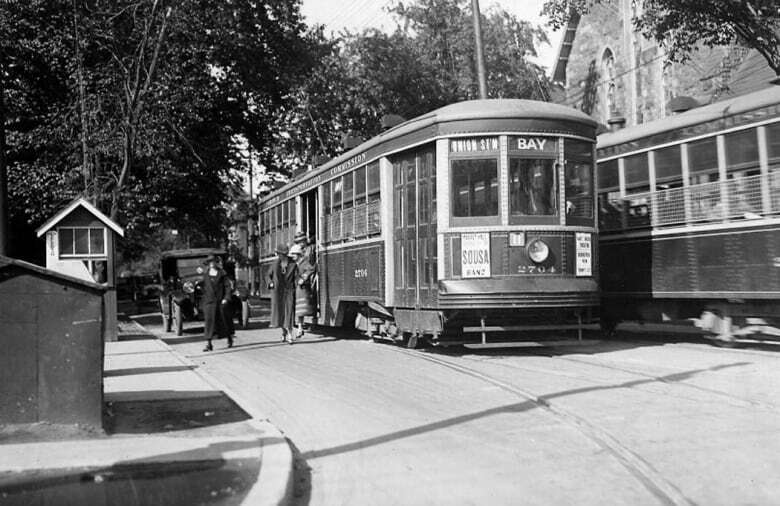 The Bay streetcar was in operation from 1921 onward, providing a rail link to the Toronto harbour. The Bay streetcar ceased operations for the most part in 1954, when the Yonge subway line was built. Street cars were still used on Bay occasionally until 1974, but only south of Dundas Avenue. The Grand Trunk Railways was the original rail company operating out of Union Station, beginning in 1852. Grand Trunk and its subsidiaries, along with the Canadian Government Railways, eventually would become Canadian National Railways. Federico says he consulted the Toronto Historical Association board on the matter, but more research would be needed to know exactly where the cobble comes from.